It’s been a tournament for upsets. 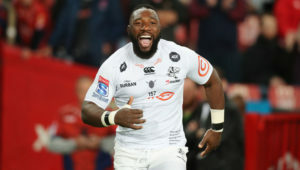 There were a couple of surprises in round nine, with the Stormers beating the Rebels in Melbourne and the Jaguares mauling the Sharks in Durban. It’s hard to say which of those two results was more frustrating from a South African point of view. The Stormers showed how good they can be when their attitude and accuracy levels are in perfect alignment. The Sharks were a case study in what can happen when a side fails to turn up mentally for a clash against international opposition. The Sharks conceded seven tries in the 51-17 loss to the Jaguares. Things started to fall apart late in the first half. Senior players continued to jog rather than sprint after the opposition. The men who had bullied the Lions into submission eight days earlier retreated into their shells. There was no rally from the leadership, no show of character or determination to prevent humiliation, if not defeat, on their home patch. Rob du Preez Snr got at least one thing right when he described the effort as ‘the worst performance in years’. The Sharks coach went on to question the attitude of the players. Du Preez repeated a question that’s been asked all too often this season. 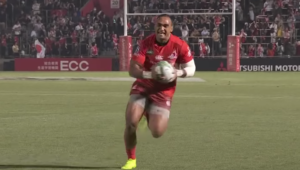 How can a team be so physically and tactically dominant the one week – as the Sharks were in their six-try demolition of the Lions at Ellis Park – and then so limp and rudderless the next? 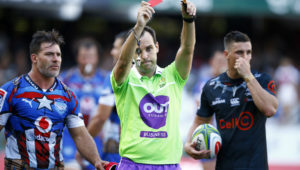 The Stormers came in for due criticism following their 40-3 loss to the Bulls in round one. In the following weeks, they claimed some unexpected wins against the Lions, Sharks (at Kings Park) and Jaguares. The Bulls won three of their first four games in emphatic fashion. 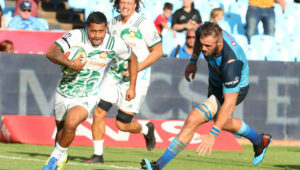 All talk of them contending for the title was tempered, however, after they lost 56-20 to the Chiefs at Loftus Versfeld. Again, it was left to the head coach to sum up the humiliation. A South African side had been found wanting, and not just in the skill department. Bulls coach Pote Human accused his players of arrogance. 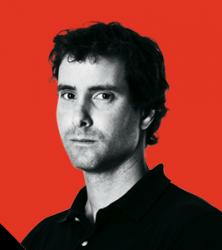 ‘Perhaps they thought that the tournament is won in March,’ he said without a trace of good humour. One has to wonder where this arrogance comes from. Apart from the Lions, the South African teams have struggled to compete – especially against the New Zealand sides – at Super Rugby level in recent years. More concerning is the lack of fight that’s been shown when things have started to go wrong. In the past, we may have had South African teams fighting back and losing by a narrow margin. This year, we’ve witnessed several teams raising the white flag in the first half. The Stormers – who were missing several senior players due to injuries – deserve praise for their recent efforts in Melbourne. And yet that result and performance lead to another familiar question about South African rugby. Why do our teams wait until they are written off to produce their best showings? The Bulls and Sharks have played outstanding rugby at times this season. They’ve also produced a few gutless performances that have challenged the assertion that significant progress has been made since the dark days of 2016, 2017 and 2018. Another obvious and oft-asked question: Why do top South African teams crumble as soon as there’s an expectation for them to win? The Sharks were woeful when hosting the struggling Stormers earlier this season. They went into the recent clash against the Jaguares as favourites, but ended up losing by a mammoth margin of 34 points. The Bulls lapsed when they travelled to Argentina earlier in the season. And after playing themselves into a winning position against the Jaguares in round eight, they relinquished control to concede two late tries and lose an important game. The Bulls were clinical in their recent win against the Reds. But again, this result rankles more than satisfies. Where were that attitude and precision when the Bulls hosted the Chiefs and Jaguares? The Bulls have won five of their eight games and are currently at the top of the South African standings. The other four teams in this conference have win records of 50%. Some might say that this points to the intensity of the 2019 tournament, and that this year’s edition has been more competitive than others. However, it’s been a lack of intensity that’s seen teams like the Bulls, Sharks and Stormers losing games that they should have won. It’s been an absence of pride and attitude that’s led to them suffering some humiliating defeats.